What is Off Shore Banking? Offshore banking simply means banking outside the country of your residence. When you deposit funds in a bank that is located outside the country in which you live, it is termed as offshore banking. Often offshore banking is done in a country which has a legal or a financial advantage along with low taxation regime. Why should you open an Offshore Bank Account? Through offshore banking, you can get a political and social stable jurisdiction to operate your account. It is beneficial when you fear the attachment or seizure of your assets in the case of a political turmoil in your resident country. It also protects your money against unsound banking system in your residence country. You might also get the advantage of lower cost and higher interest rates in offshore banks. It is mostly due to a lack of government intervention in that country or other economic conditions. Offshore banking is mostly done in tax haven countries. This means that your tax liability is lower or could be nil. Offshore banks can also benefit you in terms of regulations and formalities. Offshore banking offers privacy to your deposits. It also helps you operate in multiple currencies without incurring currency conversion fees. Hong Kong is one of the largest international banking centres in the world. Offshore banking in Hong Kong offers the following additional advantages to your business and your finances. Choice of currency you want to trade and save with. 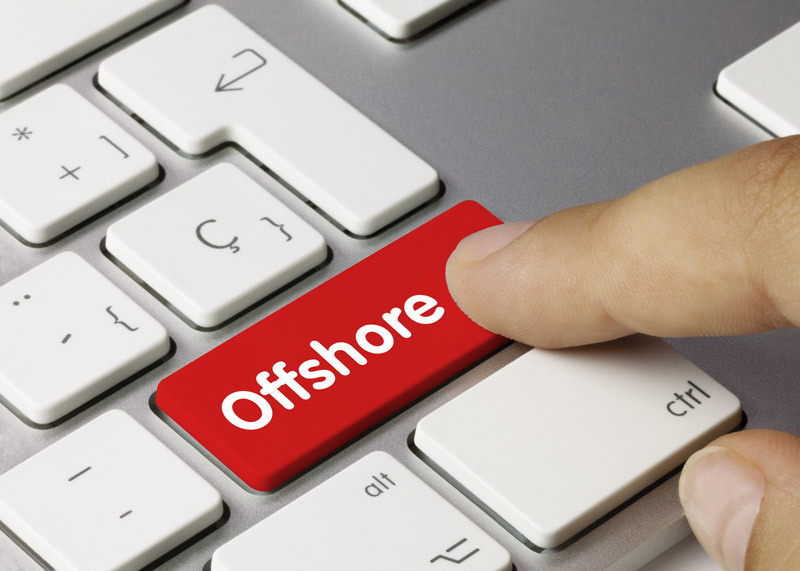 Moreover, offshore banking in Hong Kong gives you the convenience of conduction offshore banking activities, international trade, investment activities and asset protection. An offshore bank account can be opened easily in a few hours once you are aware of all the formalities. Each foreign jurisdiction and offshore banks have different regulations and requirements. Therefore, the procedure can vary for each. Similar to opening an onshore bank account, for opening an offshore bank account in Hong Kong you would be asked to submit your personal details like your name, address, contact details along with the documentary proofs of the same. As per the government guidelines, the KYC procedure of Hong Kong banks are stringent and therefore you might also be asked to submit documents pertaining to your investments and deposits elsewhere and other financial reference document form your current bank. Recent address proof of the bank signatories. Bank reference letters for bank signatories. It is recommended that you visit Hong Kong to open the offshore bank account. However, if you are unable to visit the country you can open the account through remote bank account opening. Contrary to the beliefs, opening an offshore bank account is relatively simple. All you have to do is fill the application form, supply the documents and complete the formalities of the respective banks. You can also take the assistance of a service provider for the same. This entry was posted in offshore banking and tagged global banking services, international personal banking, offshore banking on March 28, 2019 by riyabhora. Hong Kong, officially called as Hong Kong Special Administrative Region of the People’s Republic of China is a city in southern China which welcomes you with its high skyscrapers, iconic skylines, lush green nature, delicious cuisine and dynamic Chinese culture. Hong Kong today is the world’s fourth most densely populated region and also a leading market for wealth management services due to its expensive lifestyle. To know more about it, let’s explore the lifestyle of Hong Kong, Asia’s World city. Commuting from one place to another is an easy breeze in Hong Kong. With well managed public transport systems you can go around conveniently and fast. The MTR system that includes trains, metro, buses and trams is a cheap and speedy mode of transportation in the city. Moreover, a prepaid travel card called the Octopus card makes it easier as you can recharge the card and use it for all the public transport mediums. Accommodation is the biggest problem in Hong Kong. The place is small and the living space is scarce. As a result, a major percentage of people in the city lives in high rise apartments with high rents. Moreover, due to its compact spaces, it is also called the concrete jungle. Hong Kong has an excellent public welfare facility. The government provides public healthcare for everyone who has a valid ID card. Many employment contracts also provide health care as one of the perks. Moreover, though the education system in private schools is expensive, it is of the highest quality. Hong Kong enjoys a subtropical climate with four distinguishable seasons. The city gets a considerable share of monsoons and often faces tropical storms and typhoons. However, the warning systems of the country are well equipped for extreme weather. Hong Kong is an amalgamation of western and eastern culture. People celebrate various festivals like Birthday of Tin Hay, The Spring Lantern Festival, The Hungry Ghost Festival, and the Chinese New Year. Hong Kong has two official languages which are Cantonese Chinese and English. Most people speak English though all signs are in both. However, Mandarin Chinese is also spoken there. Due to its expanding population and favourable living conditions, the cost of living in Hong Kong is rising at an alarming rate. As per the recent reports, Hong Kong is the 9th expensive city in the world and 3rd most expensive in Asia. Though the city is small, more and more people keep pouring in for its cultural vibrancy, cuisine and stable society. It leads to a steep rise in prices of not only accommodation but also of daily items like a cup of coffee. Due to the high cost of living and the expensive lifestyle in Hong Kong, it might be difficult to manage your funds. Irrespective of your income, if you are not able to manage your money, you can opt for an expert help. To ensure that you secure the future of your family and also plan a comfortable life after your retirement, you can take the help of wealth managers. Wealth management is a professional process that helps you create, manage and grow your wealth. This entry was posted in Uncategorized and tagged wealth management, wealth management online on March 26, 2019 by riyabhora. Whether you want to buy a car, start a new business or consolidate your existing debts, a personal loan could be just the financial product that suits your needs. If you’re considering applying for a personal loan but don’t know where to start, you have come to the right place. In order to apply for a loan successfully, it important to have a basic understanding of the application process as well as understand how to choose a personal loan that matches your requirements. Age – To qualify for a personal loan in Indonesia, you need to be at least 21 years of age or older, but not older than 60. For certain banks the age requirements for personal loans may be even tighter, requiring people to be under 55 or 50. Income – In order to be eligible for a personal loan, you need a steady source of income so that the bank is convinced that you will be able to make the loan repayments. Since personal loans are unsecured loans, the income criteria for personal loans can be quite rigid. If you have a low income, your personal loan eligibility will be lower as compared to high earners. Residency Status – In order to qualify for a personal loan, you will need to be an Indonesia citizen or have Permanent Resident (PR) status. Credit Score – The bank conducts a thorough credit check before approving your loan application to ensure that you will be able to repay the loan. If you have a poor credit history, you may have to pay a higher loan interest rate or even deal with rejection. Therefore, if you have a bad credit history try to improve it before applying for a personal loan. It’s important to remember that the eligibility criteria for personal loans may differ from bank to bank. You can easily find out the eligibility criteria for a particular bank by simply visiting their website and checking the personal loans section. The Bank’s Website – Most banks in Indonesia offer online application facility for a personal Just visit the bank’s website and fill up the online application form. On completion of the online application, the bank will contact you with further instructions. Bank’s Phone Helpline – Some banks let you apply for a personal loan with just a phone call. Once you call the bank, the bank representative will guide you through the entire process of the loan application. However, some banks may require you to visit a bank branch while others may fax or email you a form to fill and return via the same mode. Walk into a branch – You can always walk into the nearest bank branch of your chosen personal loan provider and inquire about the loan application. 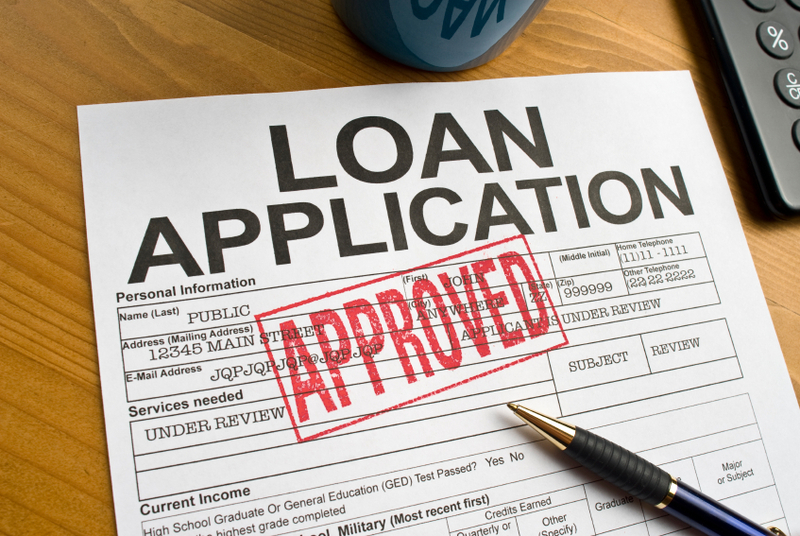 Most banks in Indonesia, provide fast approval on personal loans with minimal documentation. This entry was posted in apply for a loan, loan application, Uncategorized and tagged apply for a loan, loan application on March 18, 2019 by riyabhora. Applying for a credit card has never been easier thanks to online applications. All you need to do is complete the online application form and submit it online. Surely, applying for a credit card does not require a lot of effort nowadays, yet there still a possibility for mistakes. If you are not careful, some mistakes can cost you dearly. If you want to make the most of your credit cards, steer clear from the following mistakes while applying for a credit card. While it might be tempting to apply for multiple credit cards to enjoy more benefits, credit card issuers don’t look favorably on multiple credit card applications especially if it’s done within a span of few days. If you apply for several credit cards every few days, your chances of getting approved go down with each subsequent application. Hence spacing out your credit card applications will not help your odds of your application approval but will prevent you from taking on a large risk of credit card debt. Visit the credit card website and find out the interest rate and fees instead of just relying on the name of the credit card or the initial advertisement. As a norm, credit card issuers are required to display the cost information on every credit card offer. Although a certain credit card commercial or a pre-approved credit offer in the mail may seem like a great deal, it’s important to do a thorough comparison before applying for a certain credit card. There are numerous credit cards available in the market today. Hence, never settle for a credit card without looking at other available options. Some credit cards lure customers with initial benefits such as signup rewards bonuses, no annual fee in the first year, introductory interest rate or double rewards. While the initial period with the credit card may be rewarding, it’s important to consider what the card will cost and benefit you in the second year and beyond. A high income or a great credit score is not a guarantee for the approval of your credit card application. Factors like a high level of debt or too many recent applications could lead to your credit card application being rejected. Everybody wants to apply for a credit card with the lowest interest rate, amazing rewards and no annual fees. If you have a good credit score, you may not have a problem securing a good credit card. However, even if you have a bad credit score, that doesn’t mean you have to accept a credit card with an extremely high-interest rate or high annual fee. When it comes to credit cards, the market is teeming with choices. Hence, its only prudent to look at a few options before making the final decision. An online search is the easiest way to find and compare credit cards from various credit card issuers based on important factors such as rewards or interest rates. This entry was posted in applying for a credit card, credit card, credit card online, credit cards, Uncategorized on February 27, 2019 by riyabhora. Share trading has become a popular source of income for many. It involves buying and selling shares in the market to gain profits. However, in this internet generation, it has become a rising trend of online trading. Here it involves you to trade the same way except it provides you the convenience of investing from the comfort of your home or on the go. This entry was posted in investment, share market, stock trading on February 1, 2018 by riyabhora. Try to book wisely in advance: This is the first thing one should keep in mind while finding a cheap deal. If you don’t have that flexibility which allows you to take advantage of super-cheap airfare sales, then you must book tickets well in advance. Therefore, in order to get the lowest price, travelers must buy flights about two months before departure. 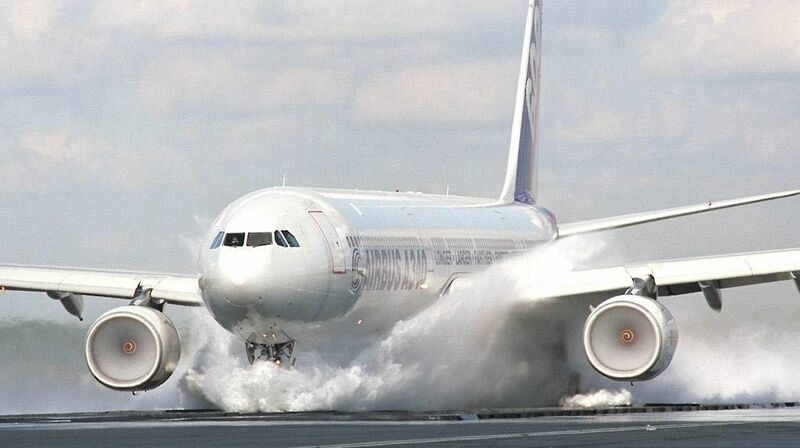 Check-out low-cost airlines: Do not forget that budget airlines exist for a reason. Therefore, booking flights from a no-frill airline is a good option. This is the sure-shot way of booking cheap flights online. These airlines may not offer you the same luxury as that of premiere airlines but, will lure you with extraordinary prices. Opt for direct flights: This tip is not for everyone, but it may work for a few travelers. Usually, flying on direct flights is more expensive than the indirect flights. For example, a direct flight from Cleveland to Chennai is much higher than an indirect journey from Cleveland to Boston, then Boston to Dubai and Dubai to Chennai. You should consider multiple layovers to save more money. Though, it will be a bit annoying, but will help you to save more at your vacation destination rather than spending on flights booking. Choose for economy class: Choosing economy class is the best way to save money on flight tickets. Rather than opting for a business class, you must opt for an economy class that helps you in saving hundreds of dollars. But, for this, you may have to sacrifice your comfort levels, such as limited dinner menu, baggage allowance etc. Subscribe yourself to promotional offers: Travel websites notify you about special deals or coupon deals or the last-minute offers on air tickets. Thus, if you act quickly on them, you can save a lot of money. On the whole, if you are planning for a holiday trip, then you must follow these above-mentioned tips that will help you in getting cheaper and exclusive deals. This entry was posted in flight booking, flights on May 31, 2017 by riyabhora. There is something about Dubai that is homey and exotic at the same time. While the sharp spices and ethnic fabrics help you connect, the modish architecture and sizzling beach clubs let you marvel at its sight. And the golden sand, well that just pampers you snuggly. Moreover, the geographical position of the emirate involves less travelling hours, which makes for a quick escapade. Getting a Dubai visa too isn’t a hard drill. The UAE visa process involves a short and simple procedure. UAE tourist visa for Indian citizens can be availed for a period of—14 days (single entry), 30 days (single or multiple entry) and 90 days (single or multiple entry). However, your UAE stay can’t exceed 30 days as per the Dubai visa requirements. A UAE visa also involves an age criteria. Men aged less than 22 and women below 30 years of age need to be accompanied by their father, mother or husband. If you are going for a solo trip and do not cross this age bar, a no objection certificate from your parent/guardian needs to be attached with the application. Plan a relaxing month long trip or go for a quick week’s break, or better still visit twice and thrice if you can’t get enough of the place. Ideally your visa should take five working days to process. As long as you stick to the rules, there is no reason why you would be denied your Dubai visa. This abroad trip, like any other, won’t burn a hole in your pocket. A vacation is supposed to be soothing and fun and that isn’t possible if the expenditure exceeds your budget. In such a case, it just becomes a straining trip that leaves you meddling with your finances to make ends meet. But not Dubai. The largest city of UAE is as extravagant as it is modest. Free tour of Jumeirah Mosque, free history lesson at Dubai Museum, free monthly art night the Dubai International Finance Centre’s galleries. A fabulous trip to the land of Sheiks is ready for you, are you? This entry was posted in Dubai Visa, visa and tagged Dubai Visa, visa on May 29, 2017 by riyabhora.